John and Julia, 2014 Ironman Lake Placid. 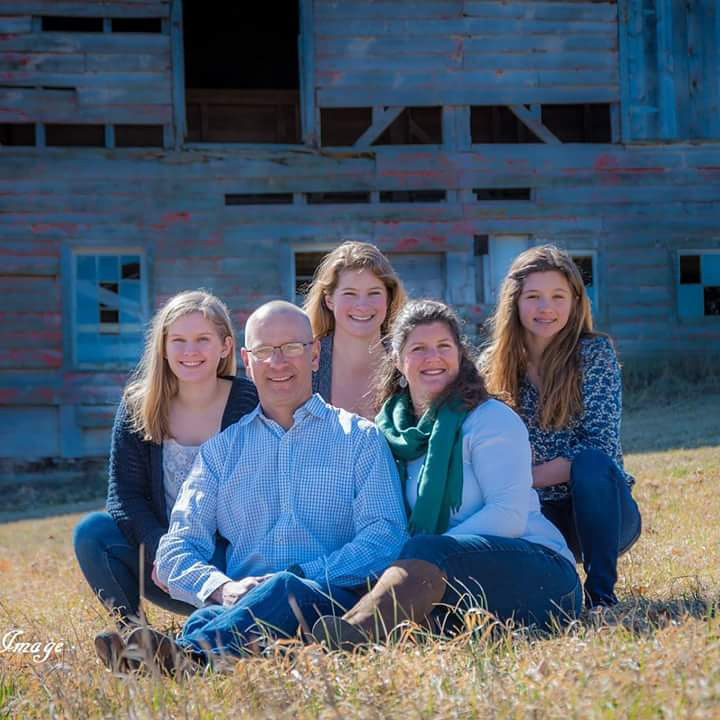 Family: Kathy, wife/mom; daughters/sisters Caroline, 18, a rising sophomore at Boston University and Ruby, 13, middle schooler. Julia at 2014 Ironman Lake Placid finish. Julia Slyer was all of three years old when she announced she wanted to do an Ironman. The year was 1999, and she was in Lake Placid, watching her father, John, complete the inaugural Ironman Lake Placid on what was to become one of the most iconic courses in the Ironman realm. John and his wife, Kathy, didn’t take Julia too seriously at the time, but she pursued her goal with a startling determination, and crossed the finish line in Lake Placid for the first time in 2014 in a time of 13:07. It was one month after she had reached the required participant minimum age of 18. In all, the father-daughter duo has completed Ironman Lake Placid together three times, in 2014, 2015 and 2016. And they’re returning together again this year. In 2015, Julia unexpectedly won her age group in 11:53, edging out a competitor by two minutes with a strong end-of-race surge. “About halfway through the bike, I felt great. I said, you know, I’m just going to go for it,” Julia recalled. She finished in 11:17:44, with a 1:12:59 swim, 6:12:58 bike (18 mph average), and a 3:44 marathon (8:32 pace). This year, Julia will be heading back to Kona for a second time, having qualified at Ironman Maryland last October. But what will make it the experience of a lifetime is that her father will be competing with her under the Legacy Program, which rewards athletes who have completed at least 12 Ironman races, but have never qualified for Kona. Caroline at Tough Ruck, April 15, in Concord, Mass. Cheering both of them on will be wife and mother, Kathy, the self-described family sherpa-in-chief, office manager, and preparer of healthy meals and treats. This will be the first trip to Kona for Kathy, who is a family and consumer science teacher in the Averill Park school district. In one memorably busy stretch last fall, she accompanied Julia to Ironman Maryland one weekend, and John to Ironman Louisville the following weekend. Her watch told her she walked 17 miles on each of those days. 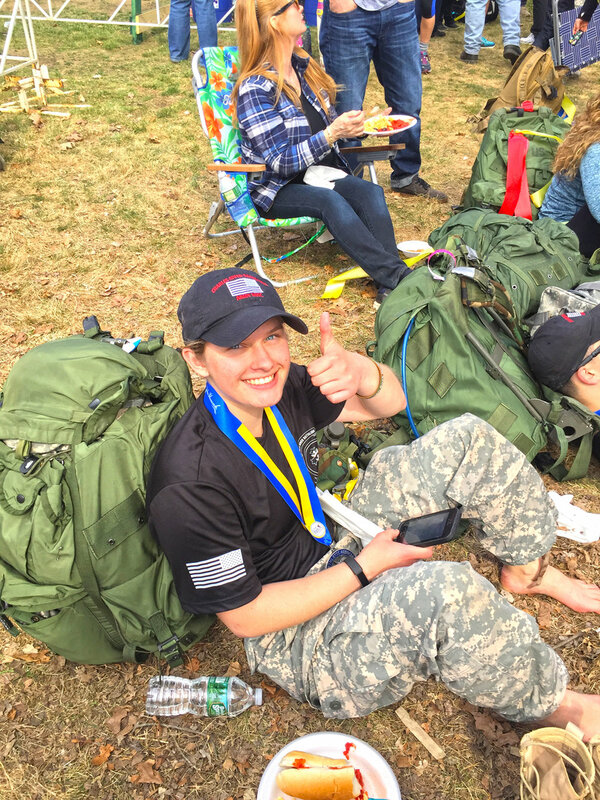 Eighteen-year-old Caroline, a student enrolled in ROTC at Boston University, recently completed the Tough Ruck Marathon in Concord, Mass., the Saturday before the Boston Marathon. She did it carrying a rucksack that weighed 46 pounds. The race, which is affiliated with the marathon, honors fallen service members, policemen and EMTs. Daughter Ruby, is an eighth grader, a young triathlete herself, and also active in soccer, ski racing and lacrosse. Originally trained by her father, Julia is now coached by Andy Ruiz of Ruiz Racing, who designs workouts around her school schedule. She swims with UB’s club swimming program, but otherwise trains on her own while at UB. When she is home for school breaks and during the summer, she and her father train together, swimming in local lakes and riding and running the roads around hilly Averill Park. Julia’s training schedule six weeks before Ironman Maryland, October 2016 – Monday: two-mile zone 2 run; Tuesday: four-hour bike, mostly endurance; Wednesday: 10-mile zone 2 run, 3500 yard open water swim; Thursday: three hour bike, low end endurance; Friday: six-mile zone 2 run; Saturday: 90-minute bike with tempo intervals, six-mile zone 2 run; Sunday: 20-mile zone 2 run. Total rest: once every 10 days. For Julia, who is thinking about a career as a doctor, school and training are her two top priorities right now. “Obviously, school is a little bit higher.” After that come socializing and chilling, and she appears to thrive on it all. “If I have free time, I just get bored. At this point in my life, I don’t know any other way. I’ve been training for Ironmans throughout my entire college career.” Her GPA: 3.87. She plans to take a gap year after graduating from college. As a tune-up for Kona in October, John and Julia both plan to compete again at Ironman Lake Placid. Along with everything else on their agendas, John and Kathy, both USA Triathlon-certified coaches, run SkyHigh Adventures, which offers weekly multisport camps for kids during the summer. SkyHigh Adventures also stages a popular, long-running, XTERRA (off-road) triathlon and companion Kids’ Tri at Grafton Lakes State Park in July. A former skydiver, John founded SkyHigh Adventures in 1996 as a skydiving videography business. Christine McKnight (trichris@nycap.rr.com) is an Ironman triathlete who lives in Gansevoort.